There's no doubt that St. Augustine makes for a beautiful lawn. However, despite its aesthetic value, regular fertilization is required as part of any homeowner's maintenance routine. Choosing the best fertilizer for St Augustine grass goes beyond the bags found at the local garden supply store. Understanding how to properly care for St. Augustine means understanding the ins and outs of how it grows. There are numerous online resources for fertilizing St. Augustine, but arguably the most important factor is using the correct amount. Using too little fertilizer will not produce that lush, dark green color or rapid growth for which St. Augustine is known. On the other hand, too much fertilizer will create a haven for pests. 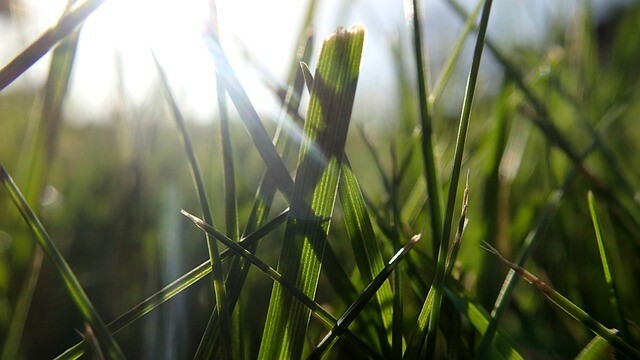 The best fertilizer for St Augustine grass will vary, but the rule of thumb is one pound of nitrogen for every 1,000 square feet. Fertilizing every two months is ideal unless you apply slow-release nitrogen that can be spread every 10 weeks. Every bag of fertilizer has a nutrient analysis on the label which shows the percentage and ratio of nitrogen, phosphorus, and potassium, respectively. Although it requires some math, the calculation is fairly easy and, of course, in-store lawn care professionals can always assist if memory fails. Here's how it would break down assuming you have a 2,000 square foot lawn and use a bag of 15-5-10 fertilizer. Because each number in the analysis equals the total percentage of the nutrient, in this example you actually need 6.6 pounds of nitrogen per 1,000 square feet. Once you understand the analysis, the best fertilizer for St Augustine grass becomes a matter of preference. There are numerous fertilizers marketed for St. Augustine specifically such as Lesco St. Augustine Lawn Fertilizer, Dr. Earth Organic Super Natural Lawn Fertilizer and Pennington's Weed and Feed product. Fertilize when grass is active in the spring and fall. Check for chinch bugs and white grubs and treat for insects as needed. Don't over water! Water only when grass shows signs of deterioration in color or blade structure. Consider irrigating in the early morning when the yard has time to dry out in the sun. Try to limit heavy foot traffic as St. Augustine cannot withstand constant trampling. Set your mower to a height of 2.5 to 3 inches and leave the clippings rather than bagging them. Doing so ensures that nutrients are redelivered to the soil. Control weeds with herbicide, preferably in temperatures of 90 degrees of lower as treating in high heat may lead to lawn damage. Test the soil and understand how its PH level will affect your choice of fertilizer. It's not uncommon for St. Augustine to lack iron (made apparent by PH levels higher than 7.0), but its other components are equally important to note such as the levels of phosphorus and potassium. Therefore, soil tests should be a regular part of lawn care and will truly determine the best fertilizer for St Augustine grass. And though it may seem like a full-time job, caring for St. Augustine pays off in the long run with its beauty and stands as a perfect warm-season grass for any homeowner.